School photography done right. Done local. Radium Photo has been specializing in school photography for over 90 years. Today we work with many local area schools, providing professional quality printing and customer service that the big guys can't. Principals and Secretary's love us for the smooth, organized picture day, parents love us for the affordable pricing and the professional quality of our prints. Our in-house studio is always open to parents that are unhappy with their schools current photographer, so schedule an appointment today! 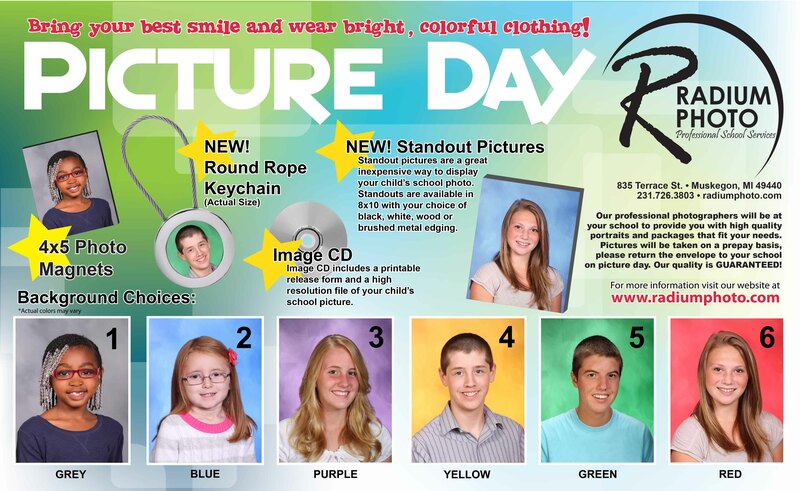 Click here to order your child's school photos prior to picture day. Click here to view and order your child's school photos from the 2018-2019 school year. You will need your child's student ID number to access his or her photo. Thank you!